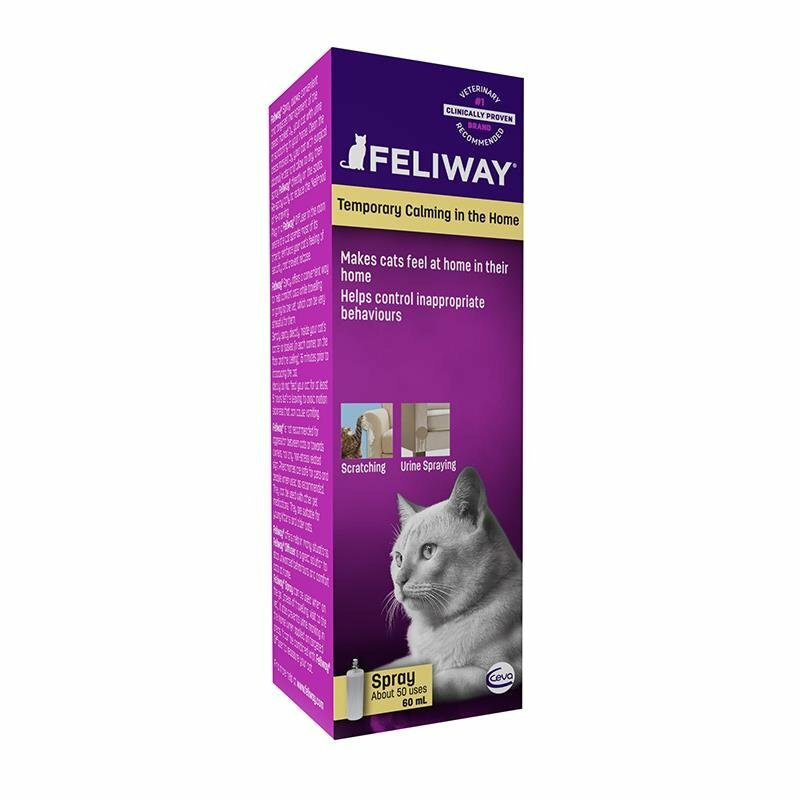 Feliway Spray - 60ml releases a synthetic copy of the feline facial pheromone, that reduce fear and stress related problems in cats. Feliway Spray create a loving environment and gives cats a feeling of security in unfamiliar and stressful situations. It produces a scent that is odourless to human and other animals, but gives cats a feeling of peace and calm. It is the same scent that cat produces when it rubs their nose against an object.